Amanda Brunk is a cross-over voice teacher with a special interest in vocal health and rehabilitation. Her curiosity for the mechanics of singing and speech has taken her to study the fields of voice pedagogy, voice therapy and speech internationally. Amanda adjudicates regularly for classical, choral, pop and musical theatre categories. from coast to coast. She is an executive board member of the Ontario chapter of the National Association of Teachers of Singing and is a published author for the NATS Journal of Singing. Amanda teaches Contemporary Voice at Wilfrid Laurier University and maintains a successful crossover studio in Waterloo. Her voice students have gone on to perform throughout Canada, on North American tours and in Broadway shows. As conductor of the Grand Philharmonic Youth Choir for eight years, Amanda led the choir to win competitions nationally and internationally, and to perform with grammy-winning recording artists and rock groups. A passionate advocate for the education and inspiration of young artists, she developed the concept for the Music Theatre Academy at Laurier, an intensive three-week performance program for pre-professional emerging artists where she teaches contemporary voice techniques to classical singers and sits as the Artistic Director. Amanda is also the Founder and Artistic Director of The Singer's Theatre, a summer music theatre training program that attracts singers from across North America. She has also served as vocal director for various cruise lines. Gordon Davis graduated with a degree in Mathematics and English from the University of Western Ontario and later earned his Theatre Arts Specialist at the University of Toronto. He has been a major figure in Drama Education for almost 40 years. For 34 years, he was the theatre Arts teacher at Elmira District Secondary School. Mr. Davis started the drama program at EDSS in 1971 with 2 classes. Under his direction, the program grew to be one of the most high profile and high quality programs in Ontario. The plays that Mr. Davis entered in the Sears Ontario Drama Festival garnered hundreds of awards and frequent trips to the Ontario Showcase, and have provided models of excellence for students and teachers across the province. 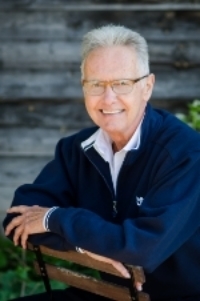 In addition to the honours that his productions have earned, Mr. Davis was named recipient of the Stewart Award for Teacher Excellence in 1990, and was the winner of the 1998 Waterloo Arts Council Award in the performance category for Directing. In 2008 he received the Michael Spence Award from Theatre Ontario for his contribution to young people’s theatre, through the Sears Ontario Drama Festival. Gordon retired from teaching in 2001 to concentrate on a freelance directing career. He is thrilled to be the resident director of The Singers Theatre, to further nurture young singers, providing them with an intense exposure to live theatre with innovative productions of challenging musical works. Jake Simons has over 25 years of performing experience has been teaching for 15 years. He has 25 theatre credits, 40 film and TV credits and has shot over 40 TV commercials. Some highlights include: a two year run of Dirty Dancing at The Royal Alexandra Theatre in Toronto where he played the lead character Johnny Castle; Johnny Cash in the Ring of Fire at the Charlottetown Festival; The Fonz in the Canadian premiere of Happy Days the Musical (Stage West); Riff in West Side Story at Stratford; Song and Dance at Theatre Calgary; Hoopz (a Disney produced play about The Harlem Globetrotters in New York); three Pantomimes at the Elgin; recurring roles on the TV series Degrassi and Metropia; a supporting role playing Cuba Gooding Jr.s' cop partner in the feature film Sacrifice and the role of the Dad in American Girl: Isabelle Dances Into the Spotlight. He is a trained dancer having studied tap, jazz, ballet, hip-hop and modern dance. As a dancer and choreographer he toured with several Juno-nominated Canadian pop singers, performed on the NHL Awards and was a member of the Inaugural Toronto Raptors Dance Pack. When not acting he enjoys singing, playing guitar and saxophone in his band. Raised in Kitchener, Jake studied General Arts at The University of Western Ontario and graduated from the Randolph School of Performing Arts in Toronto. Jay is a Canadian Actor based out of Cambridge with over 100 professional credits on stage and screen. You may recognize him from his recent appearances on Designated Survivor, The Handmaid’s Tale, or in commercials for Honda, Ritz, and Montanas. Canadian credits include: Evangeline, Colours in the Storm, Living With Henry, Just East of Broadway, Bittergirl, Dracula a Chamber Musical, and Baco Noir. He has performed in several award winning shows across Canada which include: Assassins, I Love You Because, Floyd Collins, and Next To Normal. He has performed with the Hamilton Philharmonic Orchestra, The Niagara Symphony Orchestra, and The Upper Canada Chorus, Past credits include: Miss Saigon (West End) ,Jesus Christ Superstar (European Tour), Tick Tick Boom, The Clockmaker, and The Last Five Years. Watch for Jay in Warner Brothers new tv series Titans. Coming this fall. M.J. has been working professionally in the theatre since the age of 17. Having spent the beginning of her career as a performer, she now works regularly as a music director, vocal coach, voice teacher, pianist, and vocalist. M.J. is a new resident of Kitchener-Waterloo, where she moved after 23 years of living and working in Toronto. She maintains a small Toronto vocal studio in addition to her new studio in Kitchener-Waterloo. M.J. has worked as a Vocal Director for Disney Cruise Line teaching the mainstage shows for the Disney Magic Cruise Ship. She has played keyboard for the 'Broadway Across Canada' tour of "Wicked" (TCU Place), Drayton Entertainment's production of Les Misérables, and was a keyboard sub in Dancap's Toronto production of "Jersey Boys". In addition to her thriving private vocal studio, M.J. is a member of the Vocal Faculty at Sheridan College vocal coaching and teaching private voice lessons in the Bachelor of Music Theatre Performance program. She has taught in the College program at Randolph Academy for the Performing Arts, and has vocal coached and accompanied at a number of arts schools in the GTA and Kitchener including Etobicoke School of the Arts, Eastwood Collegiate, Cawthra Park Secondary School, and Wexford School for the Arts. M.J. was an adjudicator at the 2015 OMFA Provincials for their music theatre classes, and at the 2016 Stratford Kiwanis Festival for their pop classes. She is a member of the National Association of Teachers of Singing and of the Ontario Registered Music Teachers' Association. M.J. has music directed both a Kingston, Ontario production and a successful provincial tour of "Anne and Gilbert" for the Thousand Islands Playhouse. She did the vocal arrangements and music direction for the Next Stage Festival production of "Just East of Broadway", starring Ma-Anne Dionisio and directed by Jordy Merkur. Other music direction credits include "Mid-Life! The Crisis Musical" (Laugh Out Loud Productions), "Seussical the Musical" and "Beauty and the Beast" (Silver Mist Productions), "You're a Good Man, Charlie Brown" (Da Capo), "Victor, Victoria", "Annie Get Your Gun", "Oklahoma", "Beauty and the Beast" (CCP). In her former life as music theatre performer, M.J. appeared onstage as an actor and accompanist in the touring production of "Piaf: Love Conquers All" (LVR Productions). She worked for Disney Cruise Line, Stage West Mississauga, and Paramount Canada's Wonderland, to name a few. M.J. is a graduate of the Music Theatre Performance Program at Sheridan College. Originally from Kitchener, Robin grew up dancing competitively, participating in every musical she possibly could and studying piano and voice. After graduating from Randolph Academy for the Performing Arts, where she played roles such as K.C. Downing in 'My Favourite Year' and Elizabeth Bennett in 'Pride and Prejudice', she started working for Royal Caribbean International as a featured singer. This took her to places all around the world like China, Russia, Brazil, Europe and the Caribbean. After four contracts she is now back in Kitchener-Waterloo y teaching musical theatre, voice and piano to young and old who share her passion for the arts. She is also proud new member of the National Association of Teachers of Singing. Last year she had the privilege of performing with Drayton Entertainment as part of their 2016/2017 season in their productions of ‘Aladdin: The Panto’ and ’Cinderella: The Panto’. Janet Kubik has worked as a professional in the arts for over 20 years. She has acted as performer, choreographer, director and producer on numerous projects ranging from local community charitable events to long term runs for professional theatre companies such as Mirvish Productions and Drayton Entertainment. She is trained in and has taught various styles of dance throughout her career and was the founder of Putting It Together Productions, a charitable arts organization focused on developing and promoting both amateur and professional performers.